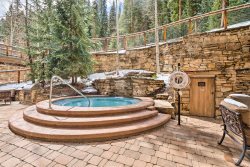 About Us - Gondola Resorts, Inc.
Gondola Resorts of Keystone was established in January of 2006 to offer travelers a wide assortment of luxury vacation rentals in Keystone, Colorado. 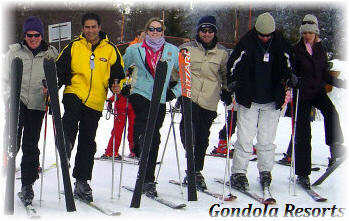 Gondola Resorts has vacation homes, town homes and condos for any size family, group or conference. Our guests enjoy the very best in Keystone luxury rentals in River Run Village, East Keystone, Lakeside Village and The Mountain House base area, and we are proud partners with various businesses in Keystone which enables us to pass-on money saving services to our guests. Gondola Resorts began to offer homes in the closest locations to Colorado’s ski resorts and set a high standard for in-home amenities and furnishings. Gondola Resorts of Keystone continues to build its business on the things that matter most to guests, as we expand our mountain resorts throughout North America. We learned very quickly that our guests are interested in three things: Personalization, Service and Location. Thus, we pride ourselves on delivering each one, to each of our guests. Personalization: We believe that personalizing your lodging options matters most. Our guests select the exact vacation home they desire from our website. It’s the only way a guest can be satisfied with their accommodations. Each luxury vacation home that we offer is listed on our award-winning websites, where guests can locate and select the rental that fits all of their needs and desires. Service and Luxury: Gondola Resorts delivers the highest standard for quality vacation rentals in Keystone. All of our Aspen properties reflect a “platinum” or “gold” rating standard which means guests receive the very best in décor, convenience and hospitality. 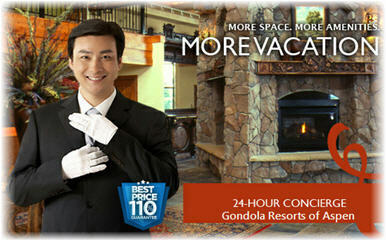 Additionally, our guest services team at Gondola Resorts provides immediate service around the clock. Location: Gondola Resorts of Keystone carefully considers the communities and properties that are featured on our Aspen exclusive website. 90% of our vacation rentals are within walking distance to the slopes and ski resort operations. Moreover, locations have been selected based on criteria that a destination has to offer, such as proximity to skiing, shopping, dining and events. TO OUR KEYSTONE PATRONS: Deliver 100% satisfaction every time. TO OUR KEYSTONE BUSINESS PARTNERS: Offer the very best in ROI that we can deliver in an ethical business environment. TO THE SUMMIT COUNTY COMMUNITY: Volunteer time and energy to help expand services that positively affect the growth of our community. © 2019 | Gondola Resorts of Keystone - All rights reserved.